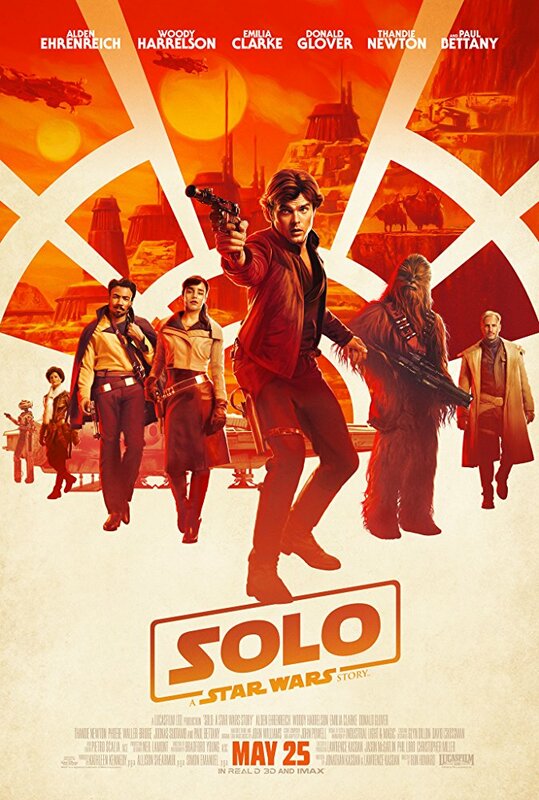 Solo: A Stars War Story, directed by Ron Howard, received its world premiere in L.A. last week, and is playing tonight at the Cannes Film Fest out of competition as an international premiere. 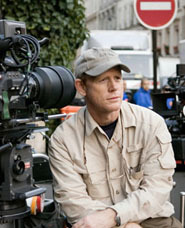 Ron Howard: Harrison was very charismatic then but a very different personality than Alden Ehrenreich. Harrison is very thoughtful, very funny but plays his cards very close to his vest. Alden is more of a very active kind of student. What they have in common is the charisma, the good looks, the charm but their personalities are very different in terms of the way that they work. I think what was great for Alden, he not only had the Harrison performances to consider and look at, but he also had this script written by Larry and John Kasdan. Larry understands the rhythm and the feel of the Han Solo character so beautifully that Alden has a huge advantage. RH: think everybody knows that I’m interested in all kinds of movies. One of the only things that I ever planned to try to do with my career early on was do a wide enough variety of movies so that potential collaborators, studios and audiences would trust me doing something that looked to be outside of my range of experience. Of course George Lucas, after “Willow”, which we did together, which was similar…I drew upon those experiences making “Willow” a lot in staging these scenes, creating a fantasy world, working with visual effects, a little bit more of a Madmartigan, Val Kilmer aspect of “Willow” and the humor around that applied well to this movie. But George had once asked me if I wanted to direct movies, 1, 2 and 3 and he also asked Spielberg and Bob Zemeckis and we all said the same thing, which was, no George you should do it. so I think I had that confidence going for me. There was something almost coincidental about it because once they made the decision to replace the directors, due to creative differences, and look elsewhere, I coincidentally was in London on other business meetings for Imagine Entertainment and I had a scheduled breakfast appointment with Kathy Kennedy. And Kathy I think just told Larry Kasdan, my name may have shown up on a list and she said well I’m going to be meeting him and Larry said well can I come along, I think Ron would be great? I think that’s more or less how it happened, it certainly surprised me. I think Larry’s vote of confidence meant a lot. RH: It is the first time for me. And remember we’ve never had that circumstance at Imagine Entertainment ever. It’s happened in films, I don’t know how many directors were on “Wizard of Oz” or “Gone With the Wind,” it’s not like it never happened before, but highly unusual. It was a difficult decision to make. It’s a huge responsibility. I have a lot of respect for Phil Lord and Chris Miller, I knew them a little bit and like them personally. Brian Grazer and all of us at Imagine Entertainment would love to work with Phil and Chris, they’re spectacular talents. Once I knew that this was a decision that the studio was making I had first said no, I just don’t think I would ever want to replace anyone. I’m only used to making films that I’ve developed carefully, that I’ve put myself into, I just don’t think that I can do it. But they said would you read the script? And I did read the script and I was very seduced by the script. And slowly but surely, well not that slowly, but over a period of a few days I kept talking a little bit more about what the process would be, I asked to see some footage because I wanted to understand how the actors were relating to the characters, what they were doing in comparison to what I’d read on the page, I looked at some of the previous action and I slowly but surely felt like this was a unique opportunity. And while I was sad for the circumstance, no movie should have to go through that, no creative individuals with as much integrity as Phil and Chris should ever have to face that but I also had relationships with Kathy Kennedy, George Lucas, Allie Shearmur. And I did feel like I could bring something of myself to this and it would be an interesting creative experience. So I finally decided to do it really as an adventure. RH: I came into it more as a sort of professional challenge. I loved the script, I really trusted this cast, I thought it was an exciting young cast of talented actors. I went into it with a little bit of distance and the idea that I would offer my experience and my guidance as best I could. But it didn’t take long before I fell in love with the story and this cast and the crew that was making the movie and it became very personal to me. So I’d say within a week it was no longer a creative exercise, it was a great movie story that I was fully invested in creatively. It was interesting to see what that was like. But I certainly inherited good work that had been done and good ideas which I was really grateful to have. RH: I think Yoda. Yoda always fascinated me, I loved his philosophy, I loved how unlikely a hero he was, unlikely a warrior and yet so credible to me. I’ve always wished I could somehow have access to someone with that sort of wisdom. So I think that’s the character that’s always fascinated me the most. RH: It depends on the movie. But when I read this script I felt that this called upon the more playful tones, the younger more emotional kinds of feelings. His yearning to be free, his quest to connect with a person or people that he could love, that he could call family and those relationships and the way that impacted upon him would begin to shape that character. and the action sequences are also built with a lot of intention to try to test Han Solo, so it’s not about a war, it’s not about politics it’s all about what it meant to Han, what does it show us about Han, how does this prepare him and position him to be that iconic character later. So that was unique. I think for me part of the fun was sort of rediscovering…or part of the creative excitement for me was rediscovering these creating action for that sort of escapism and fun, which you hope is a really ambitious, enjoyable, escapist experience for audiences. RH: This particular brand of action was unlike anything that I’d ever done because it combines all the most cutting edge cinematic techniques with traditional, old school effort. 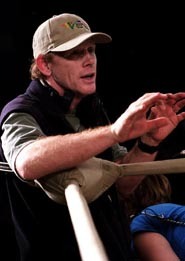 But designing the action scenes, working with ILM, working with our incredible stunt team, action designers and the art department, more aggressive fighting styles that I’d never really worked with before, everything a little bigger than life, a little bit more thrilling…most of the action that I’ve been doing in recent years have been very realistic, this was heightened for the excitement and the fun of it. so I think that’s the thing that was the most exciting for me and the most different from work I’d been doing in recent years. RH: Probably the train heist. All the characters are in action. It’s a heist, but also a test of Han Solo, it’s physically challenging for both the actors and even the stunt doubles. From a design and special effects standpoint, it’s absolutely state of the art and also very ambitious. It’s a long set piece sequence with a lot of twists and turns.